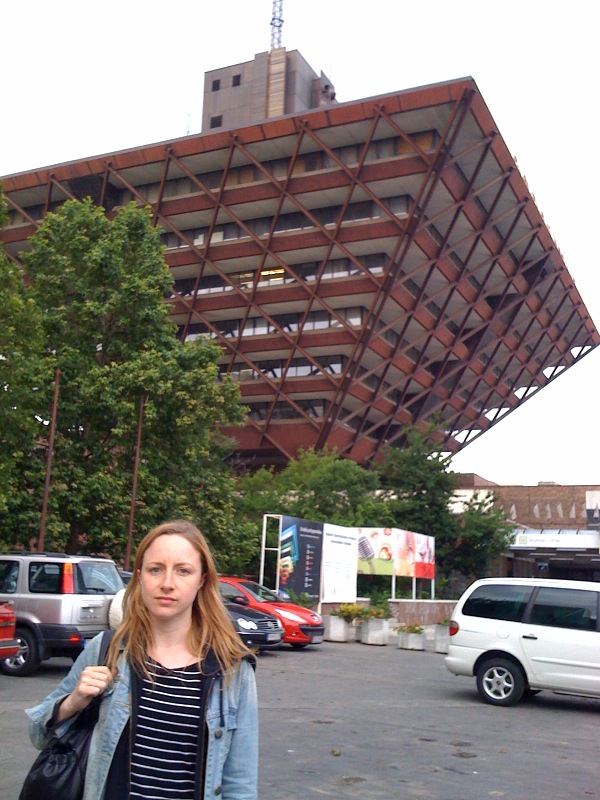 Here I am at Slovenský Rozhlas (Radio Slovakia), Bratislava. Upside down pyramid building! I caught the overnight DB Bahn from Berlin to Bratislava, and spent a couple of days in Zilina for Fest Anča International Animation Festival, my Wealthiest Queen animation for Luluc screened in one of the Music Video Programs. 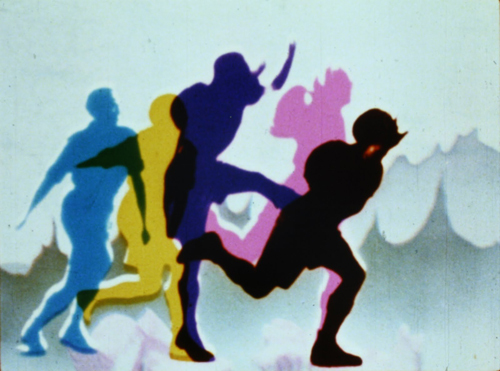 I watched hours of international animated shorts, incredible Slovak animations, and a retrospective of Russian artist, animator and director Ivan Maximov’s brilliant and hilarious works. I was really excited to see Jan Švankmajer’s 2010 film Surviving Life, the cutout animation style was right up my alley and completely captivating on a visual level. 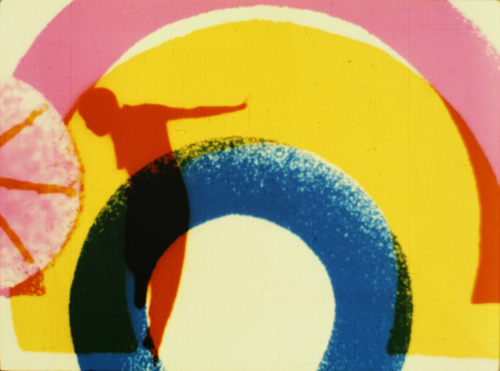 I also really enjoyed Pip Chodorov’s Free Radicals documentary, which explores the history of 20th-century experimental filmmaking. 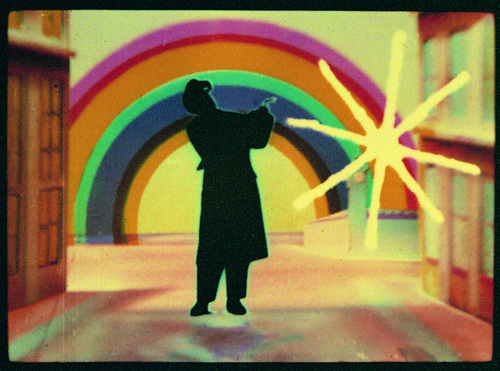 Having read about Len Lye‘s work in numerous books on experimental film over the years, Free Radicals featured the full cut of Lye’s 1936 British Postal Service animation Rainbow Dance, which was amazing to see – it is impossible to find a good quality version of the film online (when I saw The Flaming Lips at Primavera Sound last month I thought Rainbow Dance may have inspired some of their LED screen stage visuals). 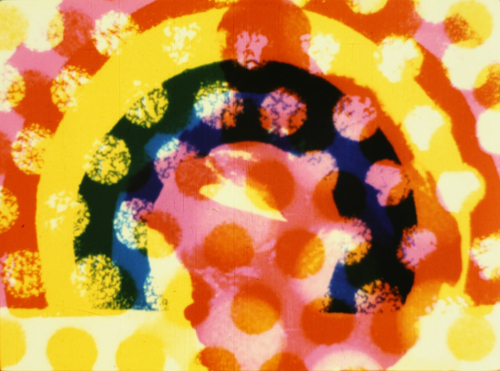 Free Radicals also featured interviews with Robert Breer, Stan Brakhage, Stan Vanderbeek, and Jonas Mekas and archival footage of Hans Richter and Andy Warhol, if you see Free Radicals listed in any future film festival programmes, go and see it!